Being a team leader or broker is more than a full-time job. It’s a lifestyle. You work around the clock to ensure all your clients are happy, agents are following up with their leads, the CRM is up to date, and so much more. 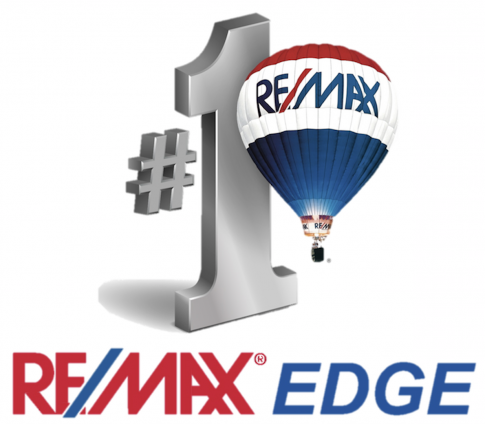 For Edric Williams, a Team Leader and Broker at RE/MAX Edge, he found himself overwhelmed with tracking all new leads coming in and getting those leads assigned to the correct agent. Once the leads were assigned to the correct agent, the agents still wouldn’t consistently follow up with the leads. Edric needed a system that took him out of the middle of the process and ensured that agents were consistently following up with their leads. “Before Aisa our lead accountability was non-existent. All the leads had to funnel through myself so we could keep accountability. I had no confidence in buying online leads. I didn’t want to lose money or lead opportunities because agents weren’t converting. I actually turned the funnel off to bring in new leads,” Edric said. “I hired an inside sales agent to solve the lead follow-up problem and I immediately realized that wasn't a fix because there are a number of issues with a human ISA.” he continued. Once Edric decided to get started with us we were able to quickly and efficiently get his CRM, Kunversion, connected to Aisa Holmes and she was ready to start engaging and converting leads. “You guys should get a reward for your onboarding process,” Edric said. “We were set up the same day and so I was able to get on with my day and everything else I needed to do. And now I have confidence that we have a solution that can take over the lead follow up responsibility,” he continued. “The value is priceless! Essentially, I have a full-time employee that works around the clock at a fraction of the cost,” Edric said, “And Aisa Holmes is better than agents at converting leads because it’s intuitive, responds with emotion and it’s customized based off of what the lead is saying. Aisa gives me complete confidence,” he continued. Since hiring Aisa Holmes Edric’s teams lead volume has doubled, they have hired 3 more agents, and their conversions increased by 233%. “Because of Structurely and the intuitive A.I. response, I am searching under every rock, nook and cranny to find more lead sources so we can put more leads through the system. We want Aisa to talk to as many leads as possible,” he said. The success that Edric and his team have had since hiring Aisa Holmes is something we know all teams can achieve. Aisa Holmes has changed his team, business, and confidence in the future. Are you ready to spend more less time qualifying and more time closing like Edric Williams and his team? Sign up for a personalized demo below! "I have a full-time employee that works around the clock at a fraction of the cost." "I think one of the biggest reasons a human ISA doesn't work is oversight."